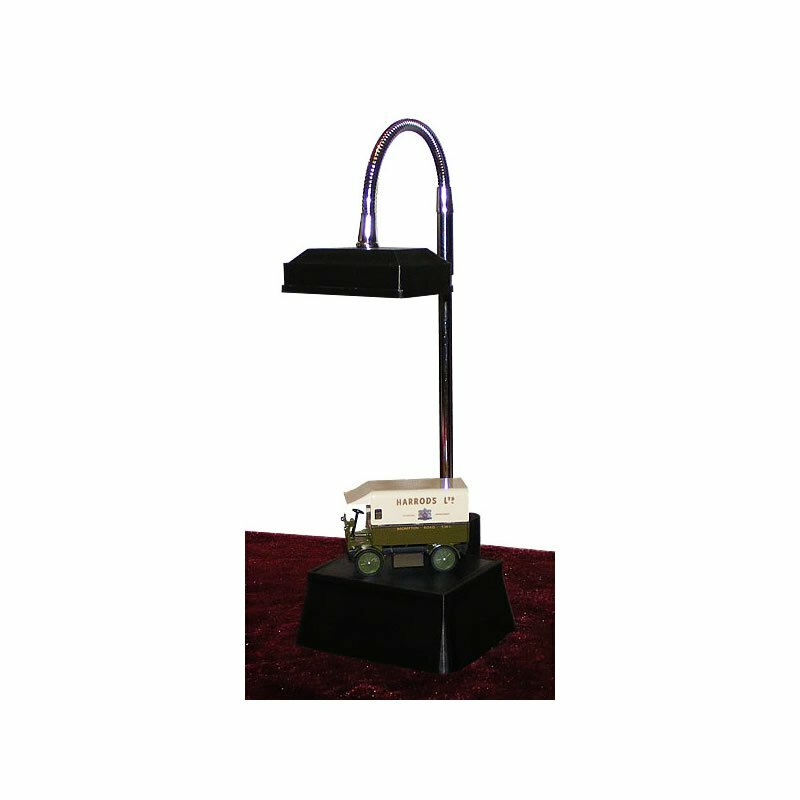 A desk or table display lamp with a diecast scale model of a Walker electric delivery van. The electric van measures approximately 7.5cm (3") x 3.5cm (1.3") x 5.5cm (2.25") high. Above the model is a lampshade mounted on an adjustable gooseneck with a bright Piranha LED panel, providing warm white illumination. The lamp has an ABS base with a protective baize felt covering to protect polished surfaces and measures approximately 12cm (4.75") wide by 12.2cm (5.8") deep overall. The height of the lamp depends on how the gooseneck is shaped and as shown in the photos is approximately 34cm (13.3") high overall. A convenient On/Off switch is located on the rear column of the lamp at the back and the lamp is supplied complete with a plug-in mains adapter for use in the UK - (If your delivery address is in the USA or Australia or New Zealand a mains adapter for the USA or Australia/New Zealand will be supplied instead). Assembled to order, not retail boxed. Payment by PayPal only, please. In all cases, the address delivered to will be the address provided by PayPal.